My husband had a coworker who would call salad like this “backyard salad.” We thought that was an appropriate term even though it was meant in a semi-derogatory way. These days I couldn’t agree more: This is indeed backyard salad. But now I’m jealous I wasn’t able to grow it in my own backyard. I love the taste of these leaves. 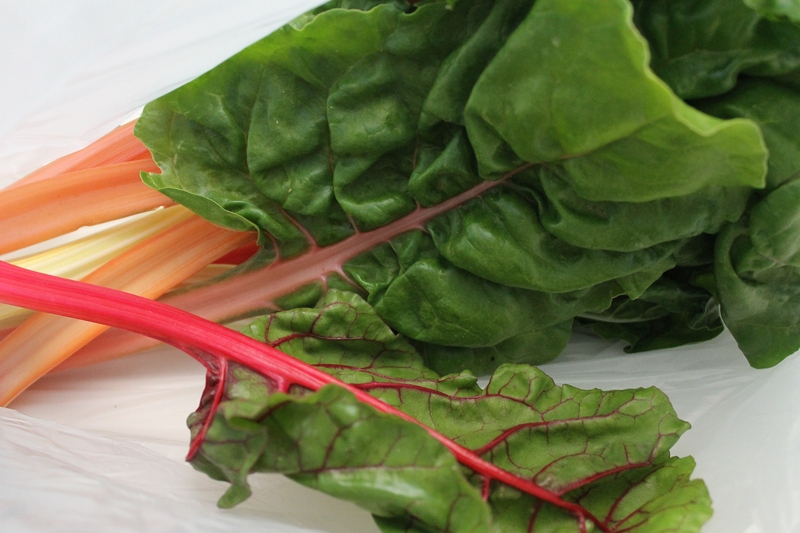 Could you get through all of these greens in a week? Honestly, we can’t. It’s 5/9ths of a bushel and it overwhelms us. Previous Post“Happy Summer” Mini-Giveaway!Next Post“Happy Summer” Mini-Giveaway Results! Yep I could get through it. Saute some down and put in a quiche or a frittata to eat for breakfasts, Make a salad for lunch, sautee hardier greens in olive oil with garlic and red pepper flakes, Make a stir fry, try a cold soup, Throw some in a curry, saute, chop and add to meat balls, Make a chard gratin or spanikopita type dish. Oh the possibilities are endless. That purple stuff IS “real kale”. Which, funnily enough, is the same exact species that is broccoli. Yup, broccoli and kale are just different cultivars of the same plant, not two different species! Yup! 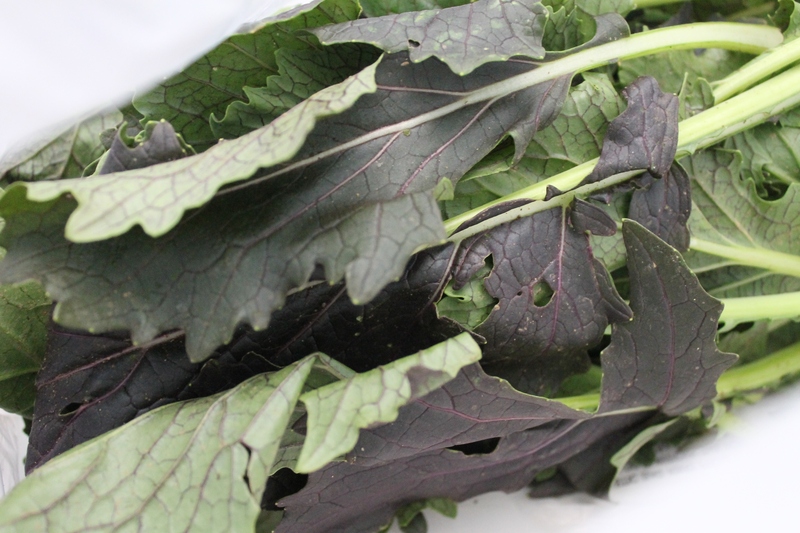 I’m actually sort of sad that the weather’s been warm enough to push my CSA into the real “summer” veggies about two weeks early–I love my greens! 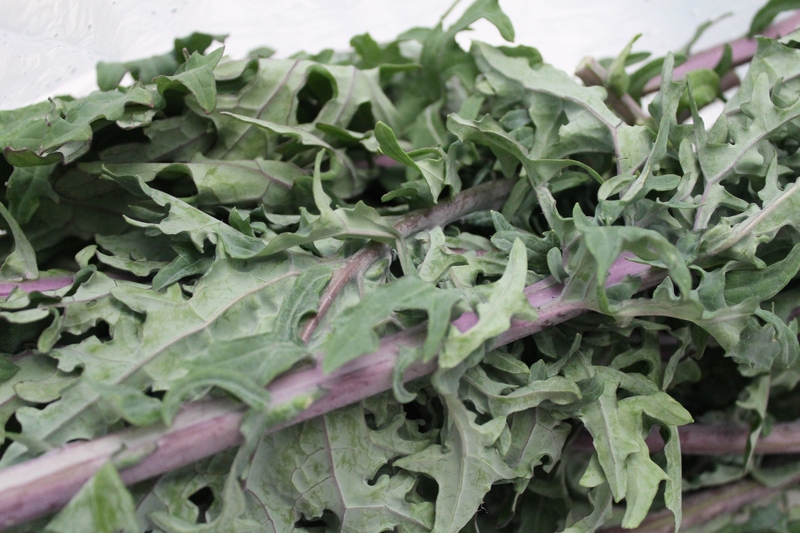 Kale on pizza or marinated in lemon, salt and olive oil then mixed in with regular salad greens. 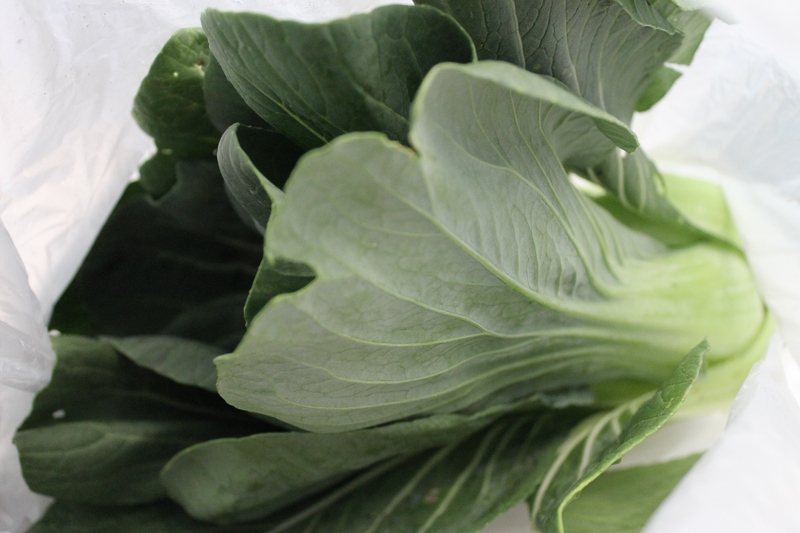 I LOVE bok choy sliced thin and sauteed with onions, then served over brown rice pasta in peanut sauce. Chard I love chopped and sauteed with shallots, garlic and mushrooms with a little olive oil–my husband thought he hated chard until I started making it that way. 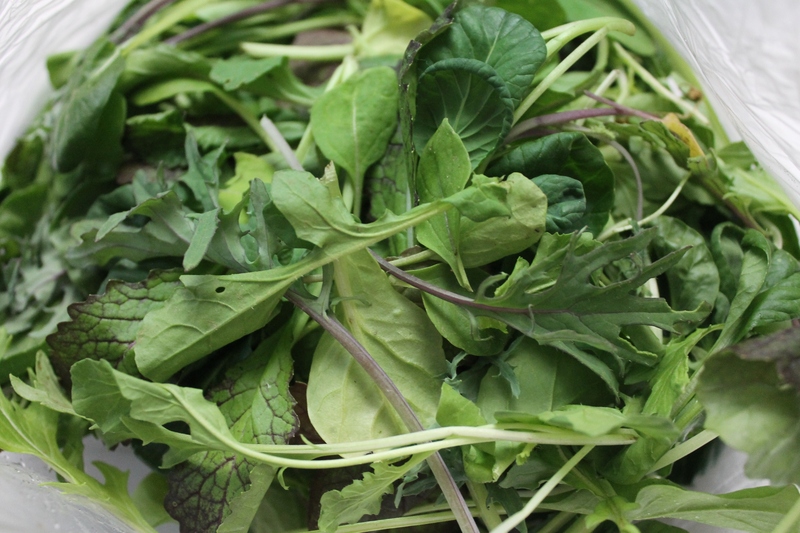 And salad greens with a warm mustard vinaigrette is one of my favorite spring sides. Yes, oh yes, the two adults in my house can make it through our half-bushel box of greens every single week! I’ll second the idea of cooking the greens – you’ll be amazed how quickly huge amounts of greens disappear when they’re cooked. 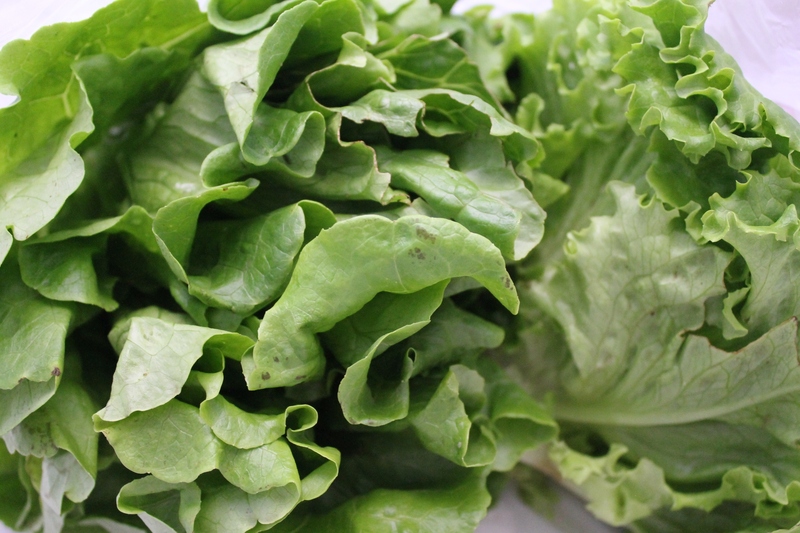 Even lettuces can be sauteed like spinach and served over pasta.